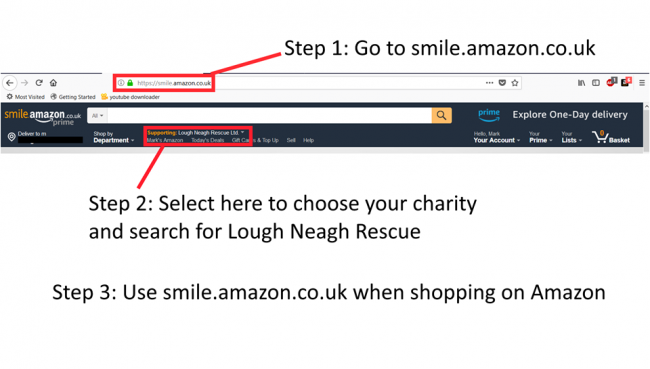 Now you can donate to Lough Neagh Rescue when you shop online at Amazon. select your charity by searching for us, then continue shopping at smile.amazon and we automatically receive a percentage as a donation (see attached image). *NOTE* – This DOES NOT cost you anything more.